As you well know, one of the best ways of creating a specific mood for your holiday gatherings is by the music you choose, and Halloween is no exception. Whether you are looking to create a fun and child friendly Halloween atmosphere, or one a little more dark and spooky, there is a Halloween Music CD made to fit the bill. Halloween Hits is a music CD that is designed for the entire family. This CD contains song that kids, parents, and even grandparents will easily recognize and relate too. This is the perfect CD to liven up any Halloween celebration. Kidz Bop offers videos and music made especially for kids. The Kidz Bop Halloween is a selection of fun Halloween songs actually sung by kids. For adults who are looking for the Halloween themed songs they grew up with, Halloween Classics offers a good selection of songs to set the mood for your Halloween party. Midnight Syndicate is best known for their dark, eerily beautiful music that is often heard in those haunted houses you loved as a kid. This collection of their Halloween Music Collection CD was especially made for those people who really want to set a hauntingly chilling mood for their parties, haunted houses, or trick or treaters. 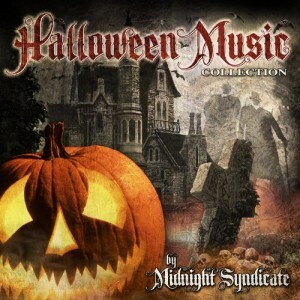 Reviews for Midnight Syndicate’s Halloween Music Collection CD are quite good. The Vampyre: Symphonies From The Crypt Music CD is perfect for setting the mood for a haunting Halloween night. Known for creating haunting gothic themed sounds capes, Nox Arcana’s Transylvania CD is a great choice for those wanting chilling Halloween themed music. This Transylvania CD gets outstanding reviews all across the board. For those looking for some less than familiar Halloween songs, mixed with your old favorites, you might want to consider Andrew Gold’s Halloween Howls. A CD of mixed artists and fun rockin’ songs, all in the spirit of Halloween fun, Halloween A Go-Go will have every ghoul, goblin, and Vampire moving to the rhythm of some great Halloween tunes. 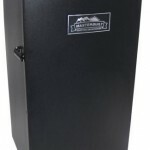 This music is sure to wake the deadest zombie at your party! There are only a few reviews for this Halloween A Go-Go CD, but the reviews that are available are excellent, and customers all agree that this is a fun CD to have at your next Halloween get together.